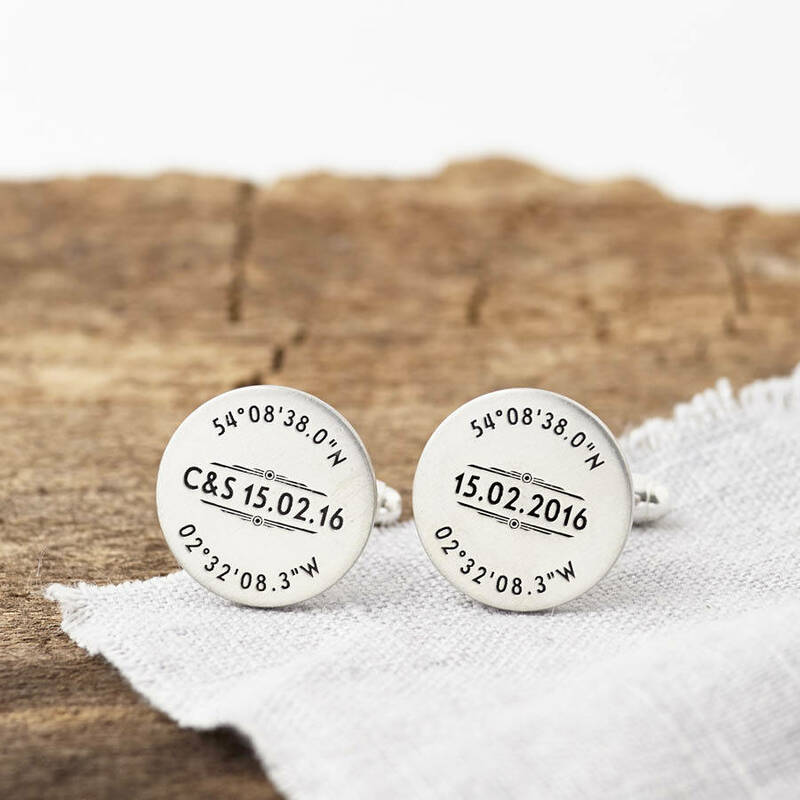 Handmade in our studio from sterling silver, these stunning cufflinks feature the coordinates of your special chosen location and your special date and/or initials. 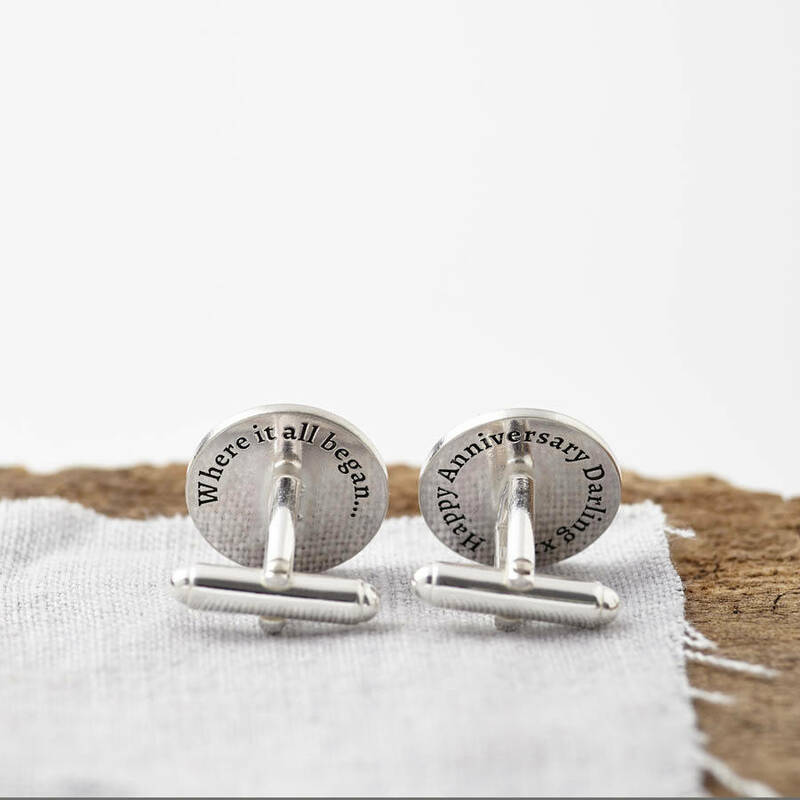 A hidden, secret message can also be engraved on the reverse of the cufflinks - something between just you and the wearer - a message from you to them. Each cufflink can feature a different location, date and/or initials, or the same location, date and/or initials can be engraved onto both cufflinks. 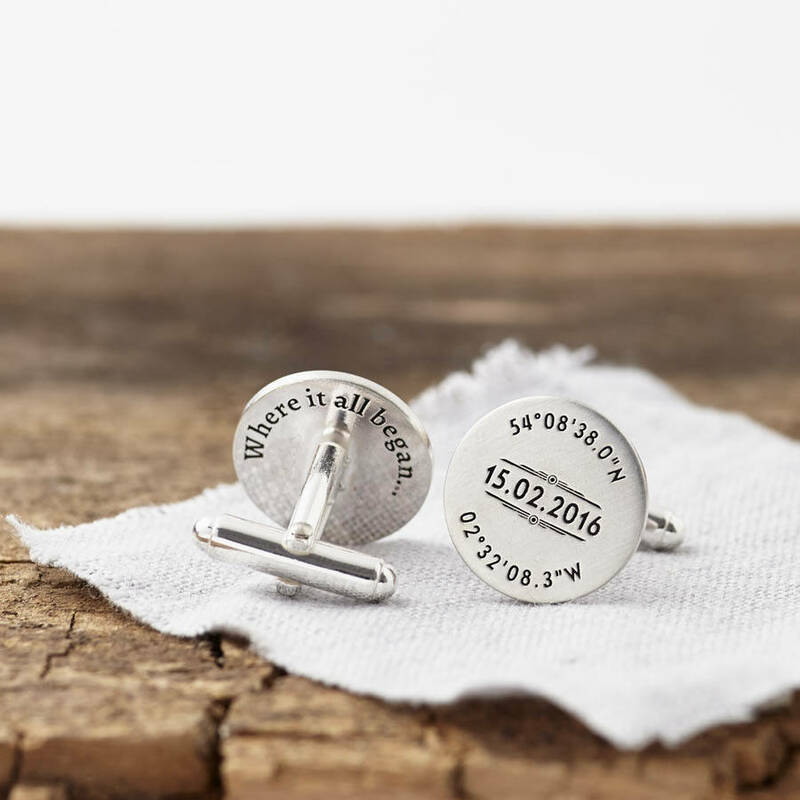 These would make the perfect gift for your groom, perhaps with the coordinates of where you met and where you're getting married. They also make a great anniversary gift - perhaps with the coordinates of where you first met, your home, or your favourite getaway location. They also make a perfect Father's Day gift, with the coordinates of where your children were born and your home. All pieces are beautifully gift wrapped in a box - this service is completely free of charge. We will happily write a gift message and send directly to the recipient. Fronts 1.8cm diameter, 1.5mm thick. This product is dispatched to you by Sally Clay.